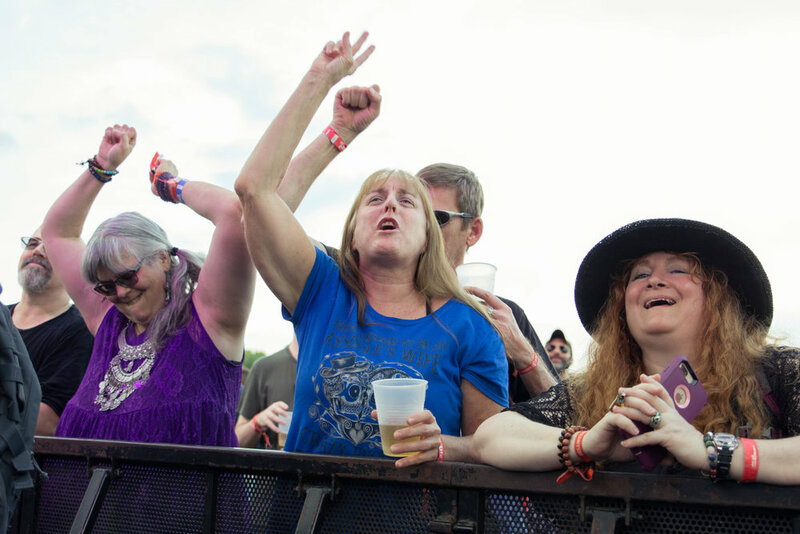 Bellwether Festival made its debut over the weekend, bringing some of the freshest names in indie music as well as some celebrated classics to the festival site, which usually plays home to a renaissance festival. 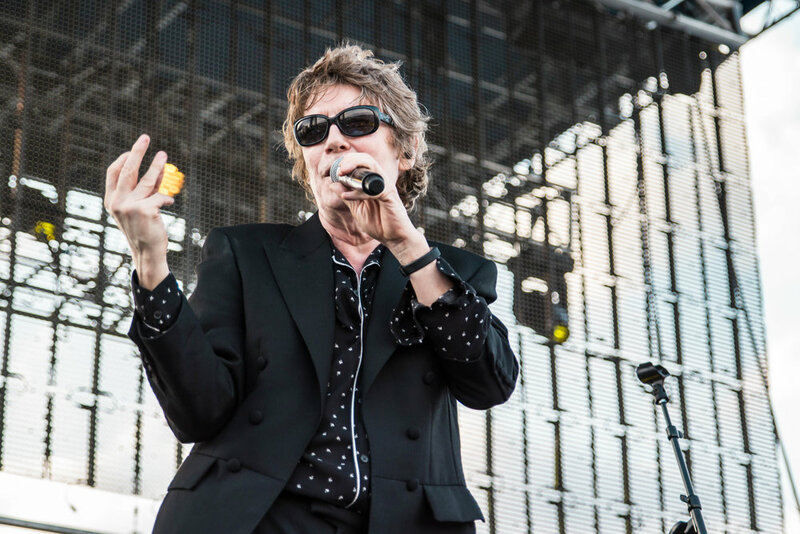 The first-time, two-day festival encountered some setbacks, like a storm that forced the cancellation of Friday's headliner MGMT, but Bellwether also excelled in other ways. Limiting its grounds to feature only two stages within easy walking distance and limiting the lineup to rule out any schedule overlap allowed for the festival attendees to focus on the music and see every artist. 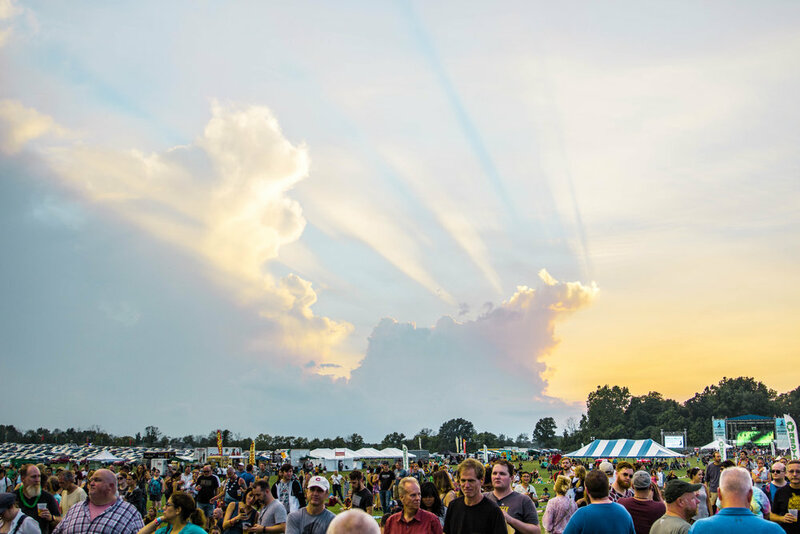 If you missed out on the fest, check out the top five moments of the weekend below. 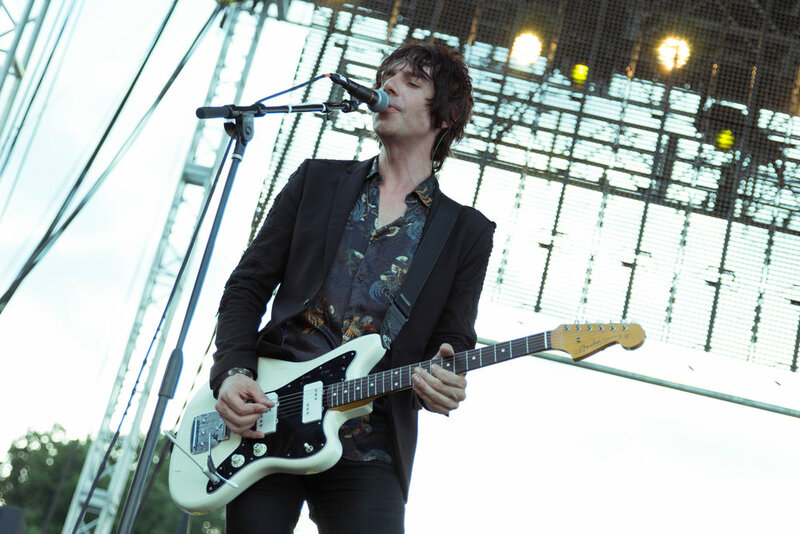 Following the success of their debut project Light Upon The Lake, Whitney toured relentlessly for the better part of two years, playing several headline runs and appearing on the major festival circuits. 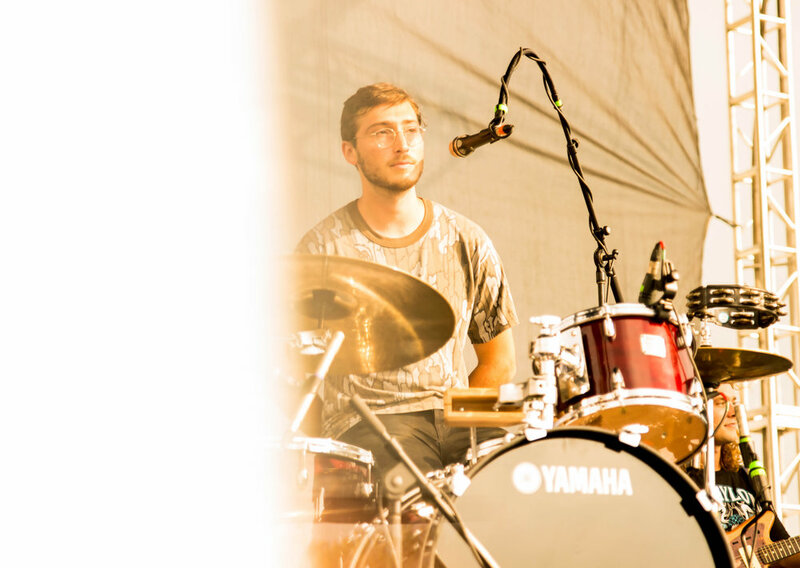 Their early evening set at Bellwether marked a rare live set from the group this year, as they've been slowly, but surely chipping away at their sophomore effort. Beginning with a quick sprinkle of rain, Whitney's set revisited their beloved first album, including their popular single "Golden Days." The band performed the anthemic break up song just after the sun had broken through the rain, delivering the perfect soundtrack to Friday's golden hour. The set also included a Neil Young and NRBQ cover, as well as Whitney's unreleased song "Rolling Blackout" that has become a staple of their live shows. As the set closed out, lead singer Julien Ehrlich left the crowd with the promise of new music soon; "See you next time. With a new album. We've been working on it...we're happy about it." 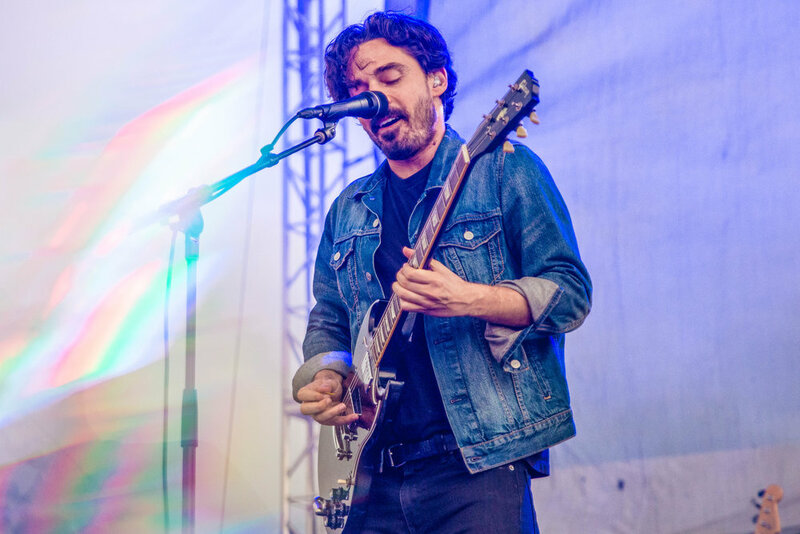 Like Whitney, Los Angeles' Local Natives are between albums at the moment, but lead singer Taylor Rice also teased their next album. "We're almost done with the fourth record. We can't say much but we like it," Rice told the crowd. 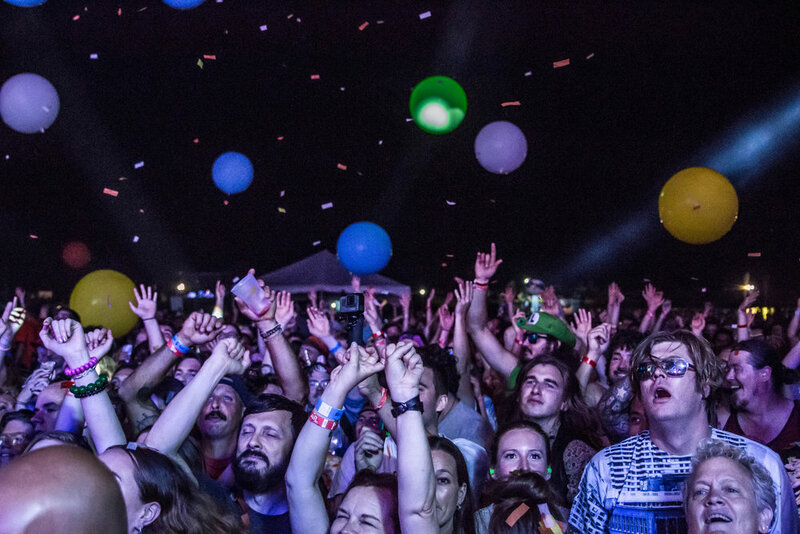 While the news gave the audience something to look forward to with the future of Local Natives, the crowd also got a chance to celebrate the past with the band. 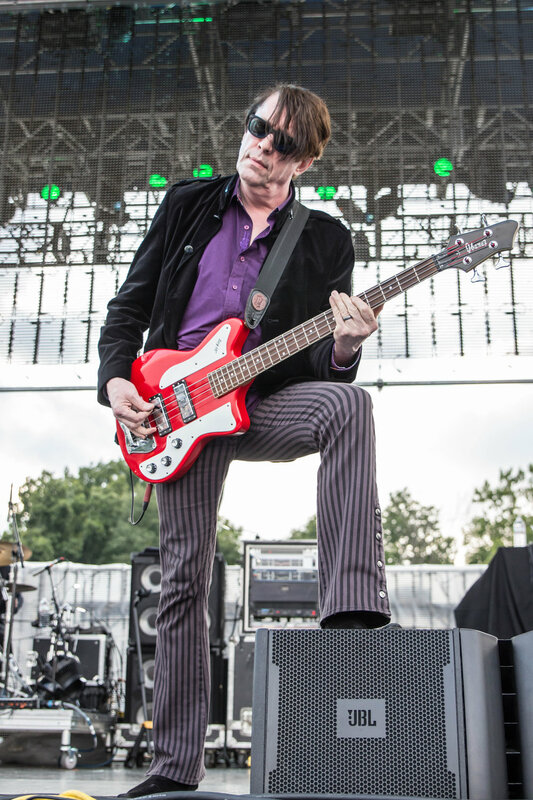 Kelcey Ayer of the band reminisced on the band's history, noting that they just hit their ten year anniversary. "In honor of that we're gonna close the set with a few Gorilla Manor songs," the band announced before revisiting songs from their first album. 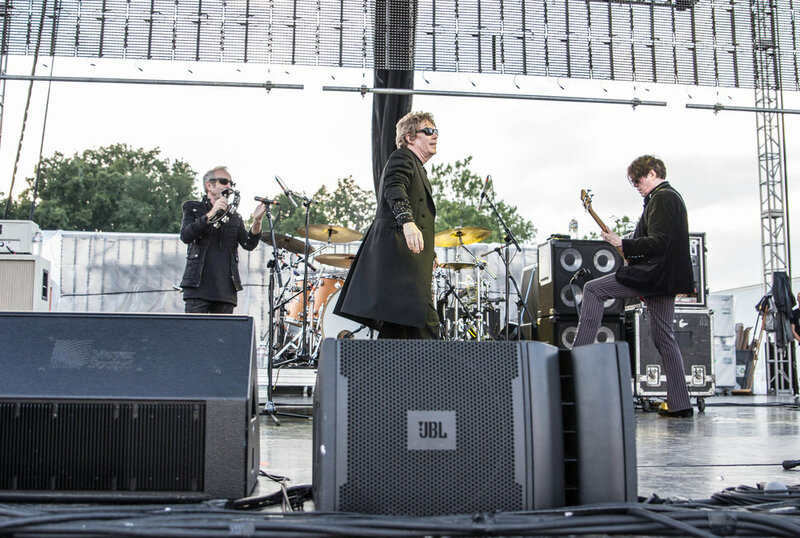 Just before playing their final song of the set, "Sun Hands," Rice commented on the fact that they'd managed to hold off the rain despite the lightning filling the sky behind them. "If it rains, just go crazier. 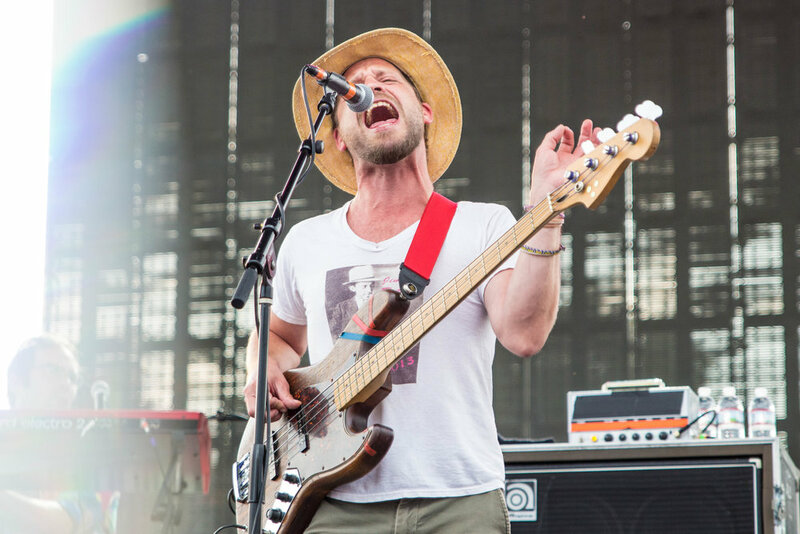 It's our last song so give it everything you've got," the frontman said, egging on the inevitable storm brewing, which let loose just as Local Natives left the stage. Fronted by Michelle Zauner, Philadelphia outfit Japanese Breakfast has been hitting the road consistently following the release of Soft Sounds From Another Planet last summer. Despite their taxing tour schedule, Zauner and her band brought their usual energy and witty stage banter to their Bellwether Fest set. Between songs, Zauner called attention to the fact that the festival site also hosts a renaissance fair; "I should have worn my John Snow Outfit," she joked, adding that she was hoping to see more capes in the crowd. 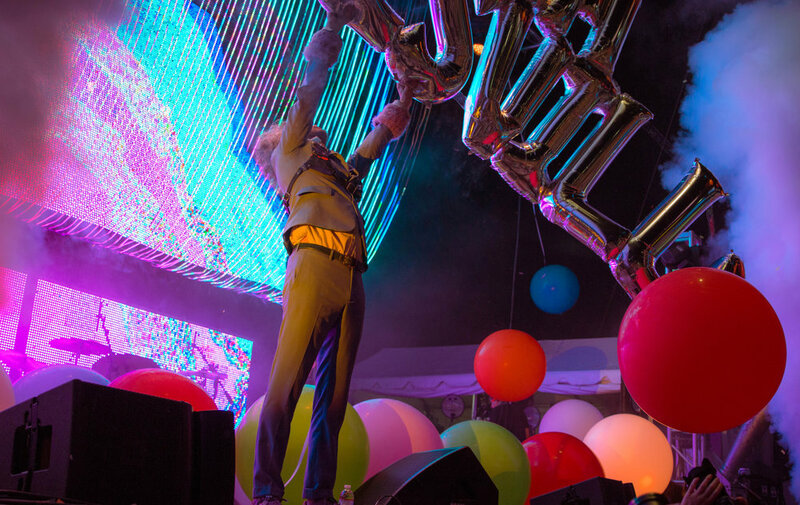 She also shared the band's excitement to be a part of the small but mighty lineup, expressing her admiration of that night's headliner, The Flaming Lips. 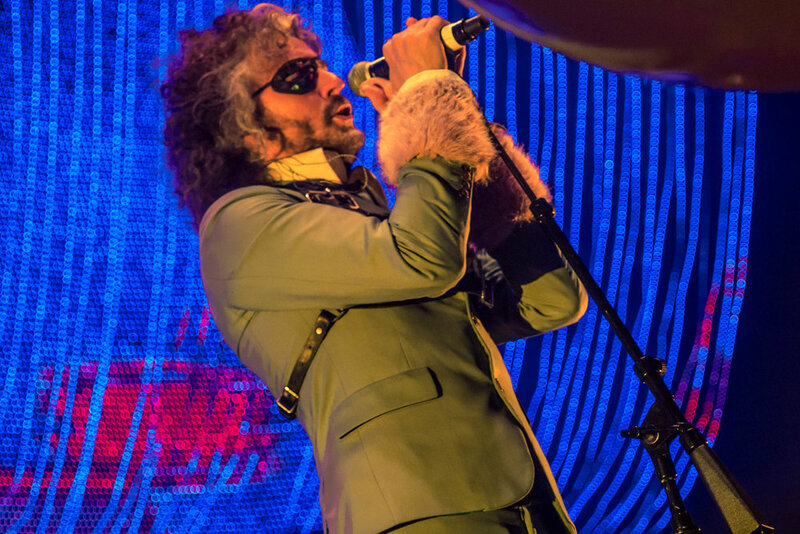 "If they're here, we would like to extend an invitation to the Olive Garden," Zauner said about Wayne Coyne and co before ending the set with an explosive, high energy jam with her band. 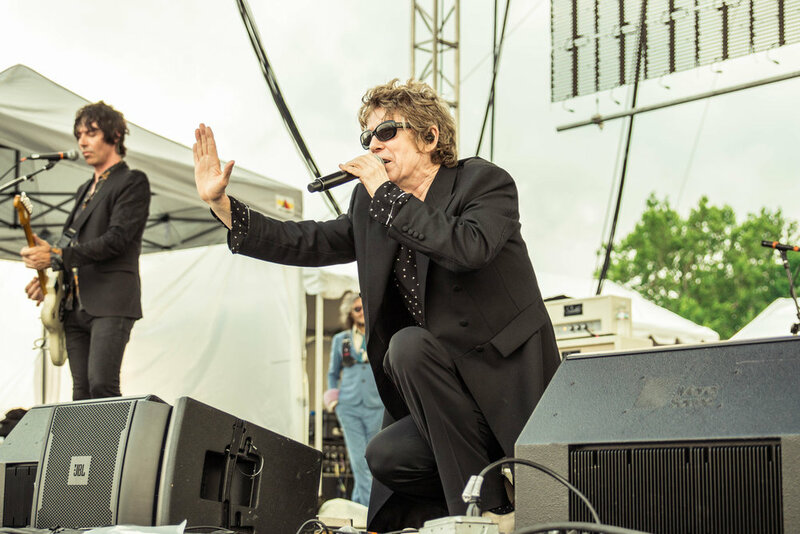 After Japanese Breakfast's set, the lineup turned back to the era of The Breakfast Club, with back to back sets from post punk bands The Psychedelic Furs and Echo & The Bunnymen. 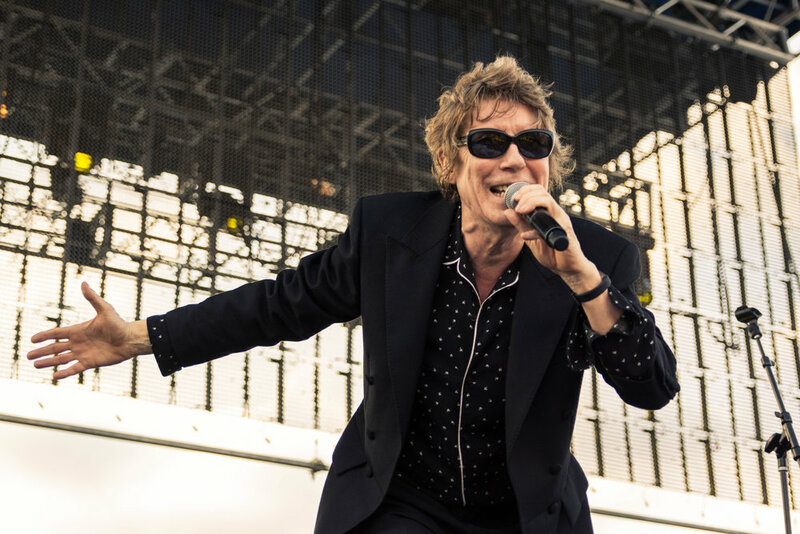 The Psychedelic Furs kicked off the nostalgic streak, attracting zealous fans to the front rows to chant frontman Richard Butler's name just before they took the stage. Their set had fans from all generations singing along to the hits like "Pretty in Pink" and "Love My Way," and the band sounded as tight as ever. 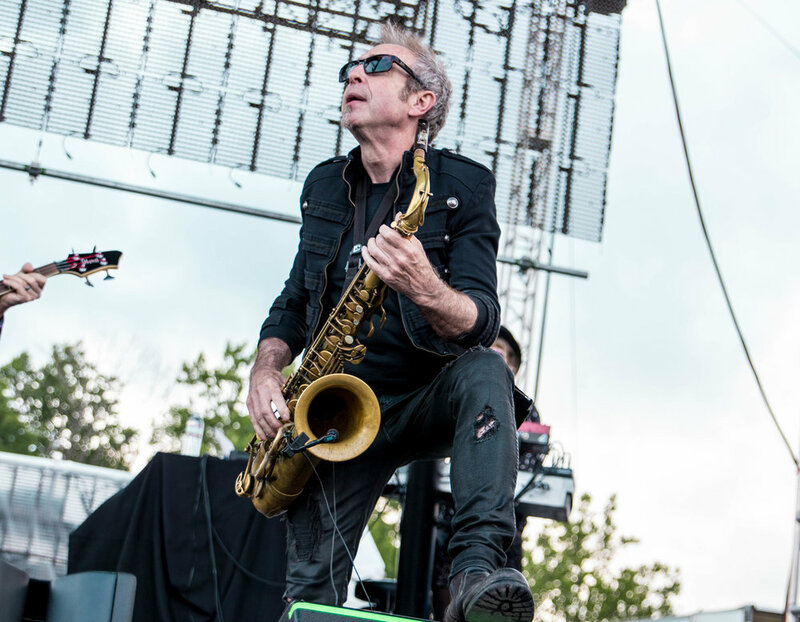 Butler's signature vocals remained strong throughout the whole set, and the band's saxophone player added some spice to the songs. 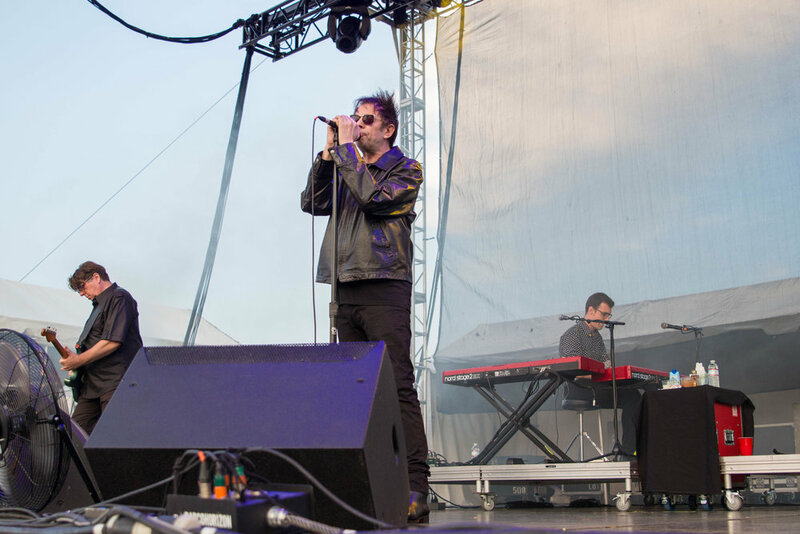 Echo & The Bunnymen kept the post punk train rolling during their set, frontman Ian McCulloch also sounding great as the band played through their hits. Again, fans from all different generations flocked to see the iconic group, one fan in the front even donning a Donnie Darko mask as a nod to the band's song "The Killing Moon" being featured on the film's soundtrack. While the weather forecast showed a chance of storms all weekend, the rain managed to hold off most of Saturday. 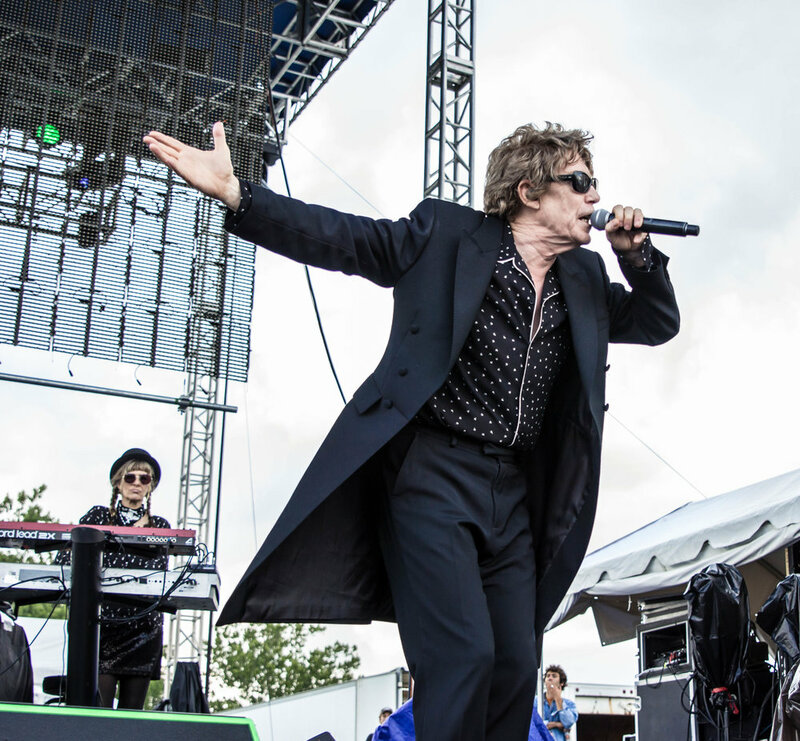 Despite the clear skies on day two, the muddy grounds and disappointment of headliner MGMT's cancelled set lingered in the air and reminded the festival goers of the previous night's storm. 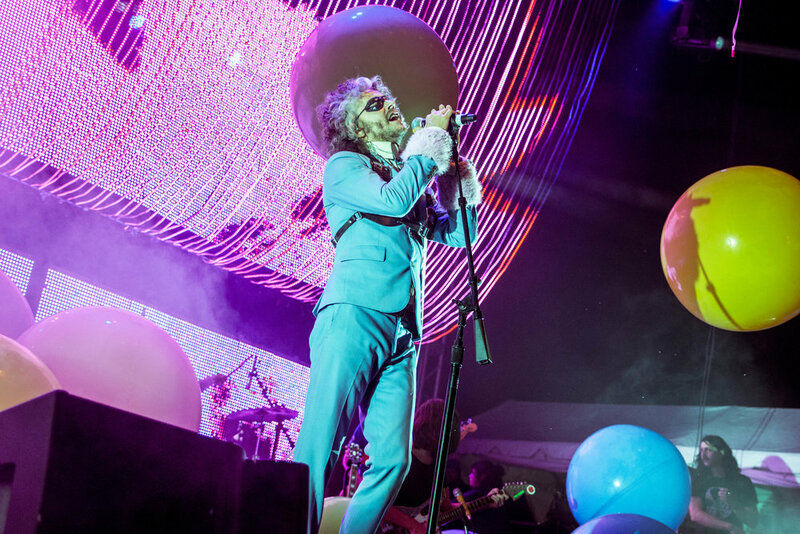 The festival staff offered some perks, like free Saturday entry for Friday ticket holders, to lessen that sting, but The Flaming Lips were the ultimate festival heroes when they covered MGMT's song "Kids" at the beginning of their set. 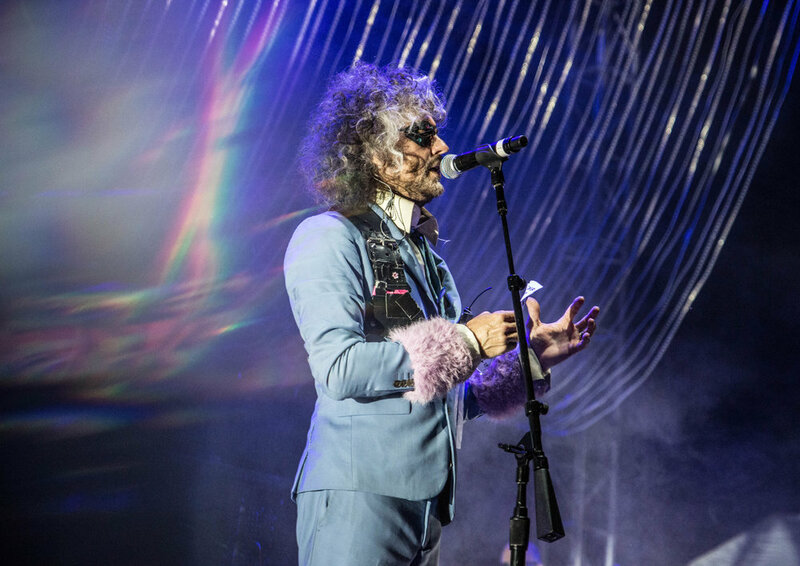 Lead singer Wayne Coyne set up the cover saying that the cancellation from the rain was obviously no one's fault, and MGMT had left him a note in the green room. The "note" ended up being lyrics to "Kids," which Coyne began reading slowly, before the band pitched in with the melody and Coyne began singing. The cover came after the group had opened their set with "Race For The Prize," which they paired with a confetti cannon, giant balloons, and lots of fog. The theatrics continued nonstop for the entire show; the bright lights and colorful props lifting the spirits of everyone at the festival and ending the weekend on the most magical note. 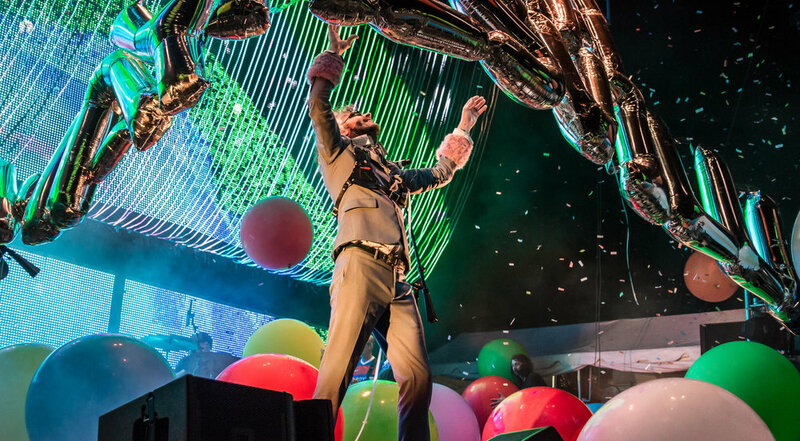 One of the absolute highlights of The Flaming Lips' production came towards the end of the set, when the band covered Bowie's "Space Oddity"; Coyne stepped inside of a giant bubble and floated along the top of the crowd during the performance. 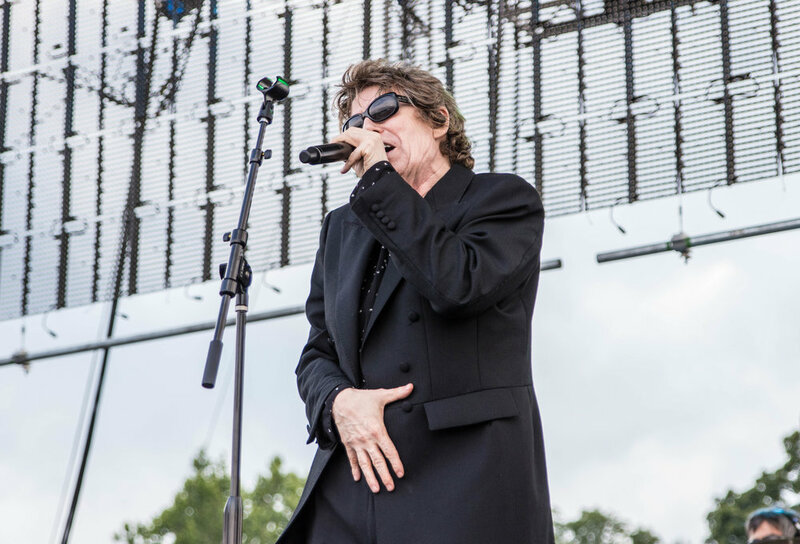 As Coyne said, the rain that had put a damper on Friday's headlining set was no one's fault, and the spectacular close of Saturday night outweighed the set backs. 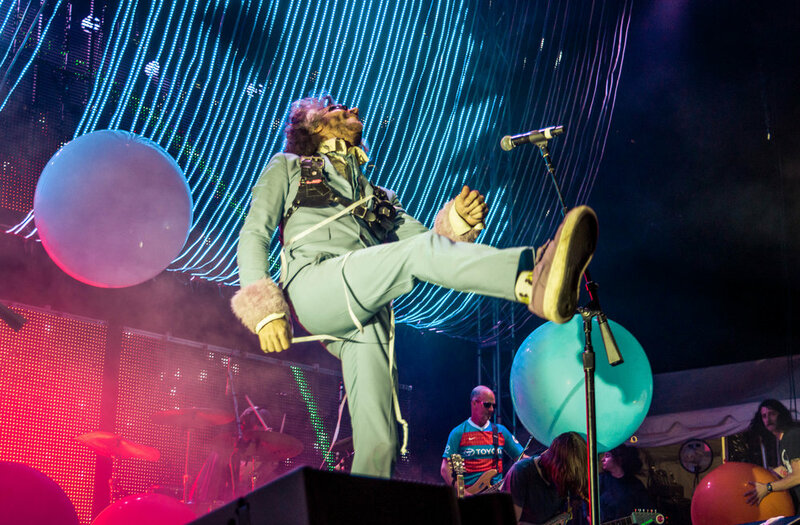 Check out more photos of the whole weekend below, featuring Whitney, Dr. Dog, Local Natives, Allah-Las, Japanese Breakfast, The Psychedelic Furs, Echo & The Bunnymen, and The Flaming Lips. Bellwether returns next year on August 9th and 10th. Get more details here.